Can’t believe that graduation is right around the corner! UNF’s Spring Graduation is Friday, April 26th and is held in the UNF Arena. With three graduations that day, scheduling a time and place to eat around your student’s ceremony is important especially as family and friends join in on the celebration. Hopefully, you have read our blog Graduation at UNF and already arranged your hotel rooms. But, if you are coming up with your entire family, you may want to make your restaurant reservations as many of the restaurants get extremely busy. With that being said there will be many places that will require reservations for brunch, lunch or dinner depending on the time of your student’s graduation. 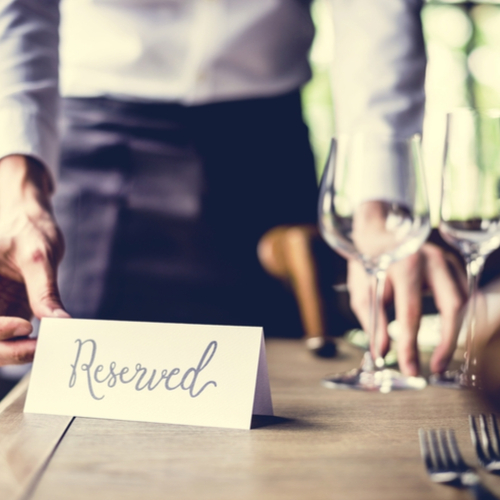 To help you out, we are listing the restaurants that take will reserve and if they require a deposit to hold the table (some do, depending on the size of your party). Obviously, we have not listed all possible places but these are some of our favorites. For other restaurant recommendations, see our blog on restaurants for lunch, dinner, and brunch. We will continue to add to this list regularly as we find more information but we suggest making your plans early, especially for the Fall and Spring graduation weekends. The restaurants with an asterisk (*) are closer to campus and all recommend booking asap. Capital Grille* – Reservation. Can request a private room for parties over 8. Chart House – On the water in downtown Jacksonville. Require reservation. Not open for brunch or lunch. Maggiano’s* – Highly recommend a reservation. Due to their size, they get very busy and can seat large parties in a private room. Matthews – Reservation. Not open for lunch for brunch. Melting Pot – Require reservation. Does not request a deposit. Dinner only. Moxie’s Kitchen* – Reservation is recommended. Restaurant gets very busy. Offers lunch on Saturdays and brunch on Sundays. Larger parties accepted with reservation only. Palm Valley Fish Company – Amazing seafood in Ponte Vedra. Reservation is highly recommended. Wait time can be over an hour. Rue Saint Marc – Reservation required. Seasons 52* – Reservation not required, but recommended. Town Hall Restaurant – Highly recommend a reservation. Wine Cellar – Reservation is required. Cheesecake Factory offers an excellent brunch – no reservations are required. Can call ahead. Alexanders – Reservation is not required.